Saturday 25th August 2018, ko 3:00pm. Cardiff are again without Aron Gunnarsson, who is making progress after a knee injury and he could be fit for the visit of Arsenal next weekend, although manager Neil Warnock may delay the Iceland midfielder's return until after the international break. Lee Peltier is pushing to replace Bruno Ecuele Manga at right-back and Warnock is assessing his forward options as Cardiff go in search of their first goal of the season. The Terriers are at full strength this weekend, having been denied the services of injured duo Mathias Jorgensen and Jonathan Hogg at the Etihad Stadium, while playmaker Aaron Mooy was attending the birth of his second child. "We are aware of how Cardiff City will play; very physical and direct but they have a lot of quality in the final third. It'll be a tough test and we have to be on our best. "Cardiff City are very good in their style, big credit to Neil for what he's done." "We wanted Huddersfield to stay up last season and it shows what can be achieved. Even with Huddersfield and what they’ve spent, their wage bill is something we need to creep up to that level. "I know the chairman Dean Hoyle very well and there’s a few that have been there. Andy Booth is still there, he was my main man there so it’ll be nice to see a few faces. I went back there for the reunion there and the lads haven’t changed. It’s a lovely club, a real family club and I was really proud to take them into the new stadium from the old Leeds Road. "It’s incredible. Just as much as what we did last year, nobody gave them a chance. We beat them at the end of the season they went up and it was fabulous for them. "David has done a great job, he’s improved the squad no end and it’ll be tough. "They’ll be looking at our game as a must win." 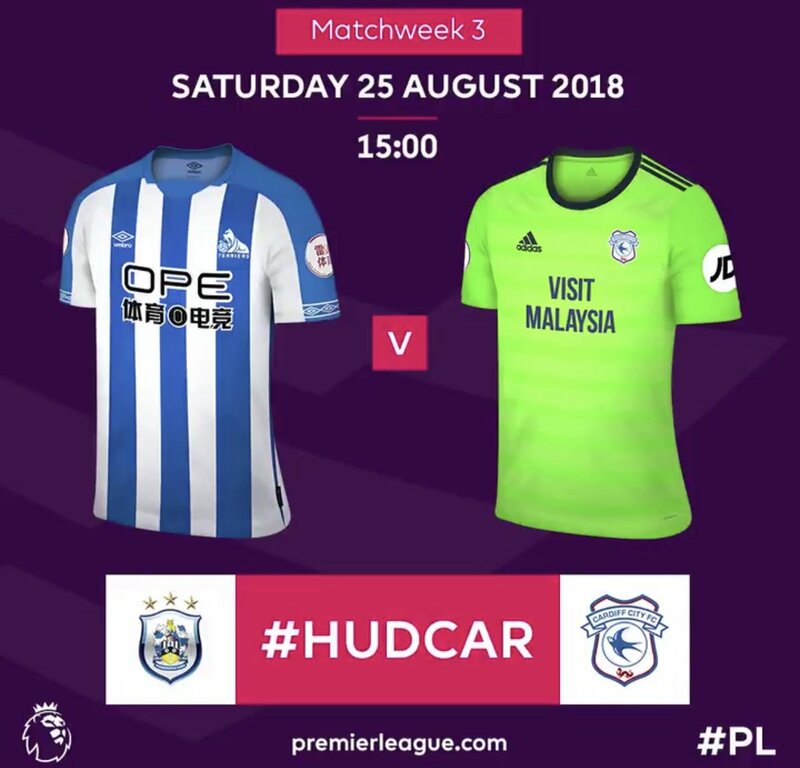 In all competitions, Huddersfield are winless in nine matches against Cardiff (D2 L7) since winning 1-0 in a third tier meeting in January 2003 with Andy Booth netting the winner. Cardiff have not faced Huddersfield in a top-flight clash since February 1956, winning 2-1 at Leeds Road. Huddersfield have won just one of their last 12 games in the Premier League (D4 L7), scoring just four goals in the process. The Terriers are also winless in the last six in the top-flight, with five of these games coming against 'big six' opposition. Since their promotion to the Premier League in 2017, Huddersfield have failed to score in 22 of their 40 Premier League games - more than any other team in this period. Cardiff City have failed to score in 12 of their 20 Premier League away games (60%) - only Brighton (65%) and opponents Huddersfield (65%) have drawn a blank in a higher share of their away matches in PL history. Huddersfield have scored just one goal in their last seven matches at the John Smith's Stadium in all competitions (W1 D1 L5), despite attempting 98 shots in those matches.